Find out about the stories from families that have been working with an MNRI® Home Program. 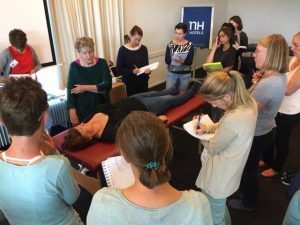 In April 2014 the basic MNRI® course “Dynamic and Postural Reflex Pattern Integration” was taught in The Netherlands by Pamela Curlee, co-founder of the Svetlana Masgutova Educational Institute. One of the participants in this course was Olga Cappon, mother of Naomi. 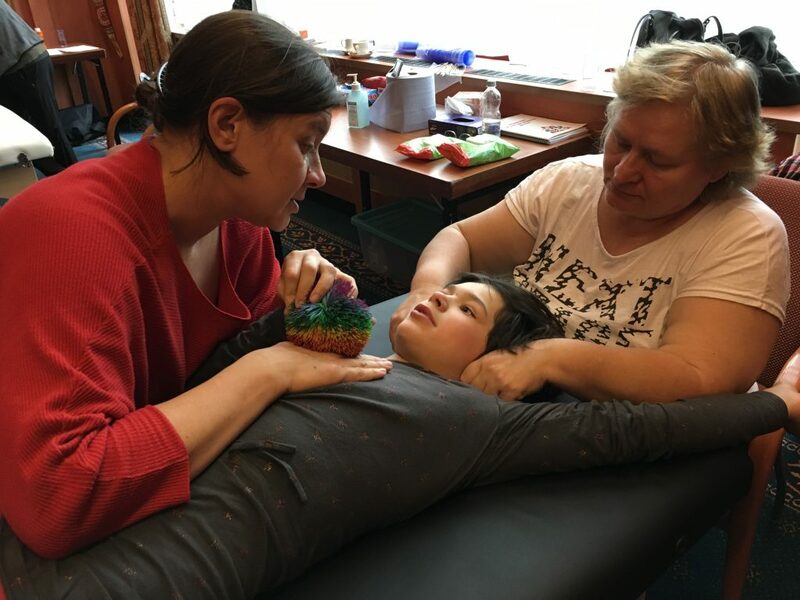 She knew Dr. Masgutova’s work for quite a while, and she now wanted to learn the Masgutova Neurosensorimotor Reflex Integration techniques in order to be able to provide therapy to her daughter at home. During the course Olga brought her daughter to class for an assessment. Naomi was carried in by her father, she could not walk, and she was constantly moving with her upper body in all directions. Participants in class witnessed the MNRI® assessment conducted by Pamela Curlee. After this course Olga and her husband did every day MNRI® exercises with Naomi. They visited an MNRI® Core specialist in Belgium on a regular base, to monitor results and add new exercises to Naomi’s developmental possibilities. Two months later Olga posted a message on social media to all participants of that class: Naomi began to take her first steps! Less than 6 months later, the basic MNRI® course was taught again in The Netherlands by Pamela Curlee. Olga and her husband passed by with Naomi to show results. Pamela and all class participants witnessed the power and energy in this beautiful girl. Holding her fathers hand, she walked around and was unstopable! Olga made a video compilation of all major steps in the process. It is heartwarming to see the results two hardworking parents who – with devotion, discipline, willpower and perseverance – opened new doors for Naomi. Families and/or professionals have volunteered to share their stories. As you move forward with the Masgutova Method, we hope that you will return here to share your story. We invite you to Tell Us Your Story!